Our product range includes a wide range of cotton scarves and printed cotton scarf. 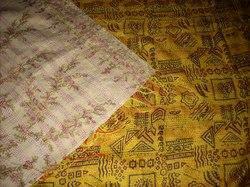 vintage kantha scarf. different different desigens . hand wash able. for ladies use.